If you are looking to build a new application but don’t want to start from square one, there is a Starter Solution for you! FileMaker includes 16 Starter Solutions (templates) that makes it easy to start building a new application that fits your needs. In addition to having a head-start on creating a solution, 12 of the 16 Starter Solutions includes a brand new theme to make your custom application look and feel new. The Enlightened Theme took the prize as most popular Theme among the Starter Solutions with 6 of the 16. If you don’t already own FileMaker, you can download a free FileMaker Trial to give the Starter Solutions a try. 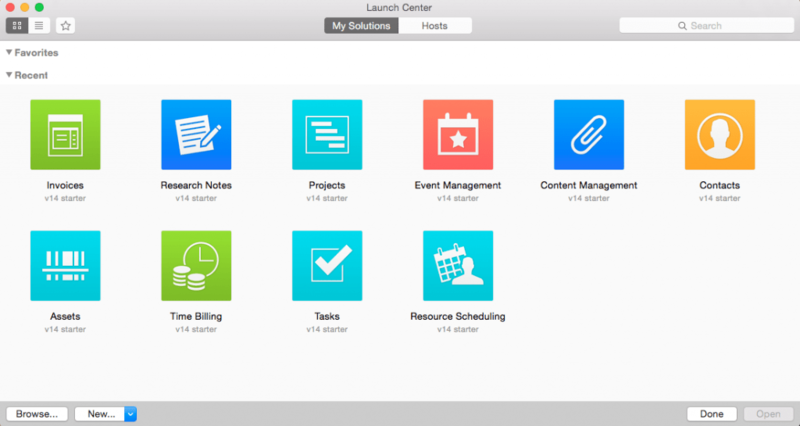 Once FileMaker is installed, to build a new application with a Starter Solution simply open FileMaker Pro 14 and the Launch Center will come up. From the Launch Center you can click the “New” drop down menu and select Starter Solutions. Or, if you already have FileMaker 14 open, you can select File > New From Starter Solution. Arguably the best part of these 16 Starter Solutions is that they give you a great design to give you a running start to building your own Custom Solution. These templates are fully customizable which allows you to create and mold the solution to fit your industry and the data you wish to manage. With a new version, came new and great changes to the Starter Solutions, which benefits users to have an even better start to a custom solution. 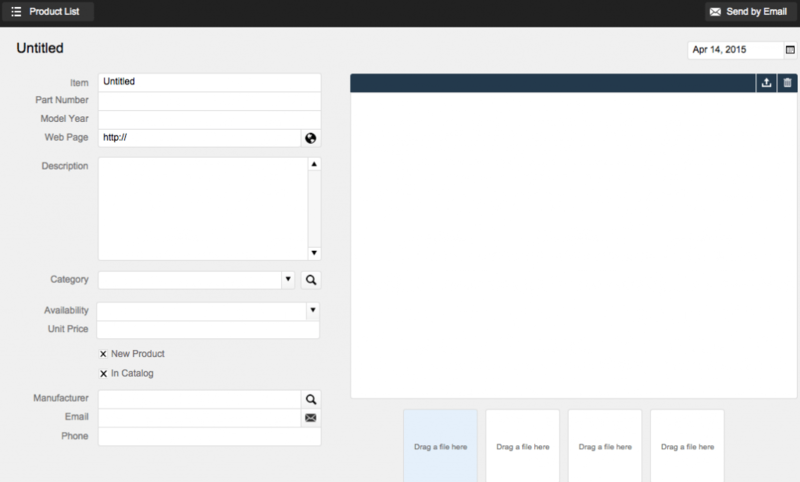 WebDirect layouts are now included in all but 2 Starter Solutions (Event Management, Research Notes). The look and feel to most Starter Solutions has changed as well implementing new Themes which will be highlighted below. The only Starter Solutions that don’t have any changes at all are Assets, Contacts, Content Management and Invoices. These are disputably the best Starter Solutions and all already include WebDirect layouts. The addition of WebDirect layouts are welcomed to make a uniform set of Starter Solutions. 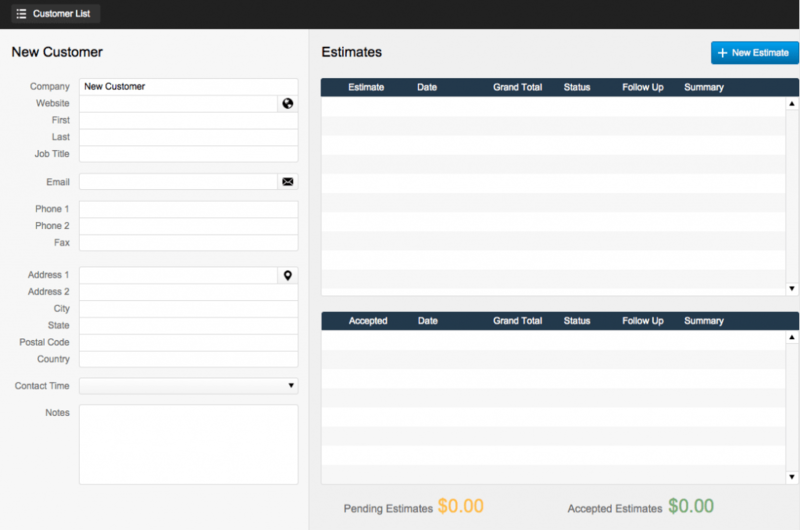 The Estimates Starter Solution is still similar to the Invoice Starter Solution. The main change is the look, changing Themes from Cool Gray to Enlightened. 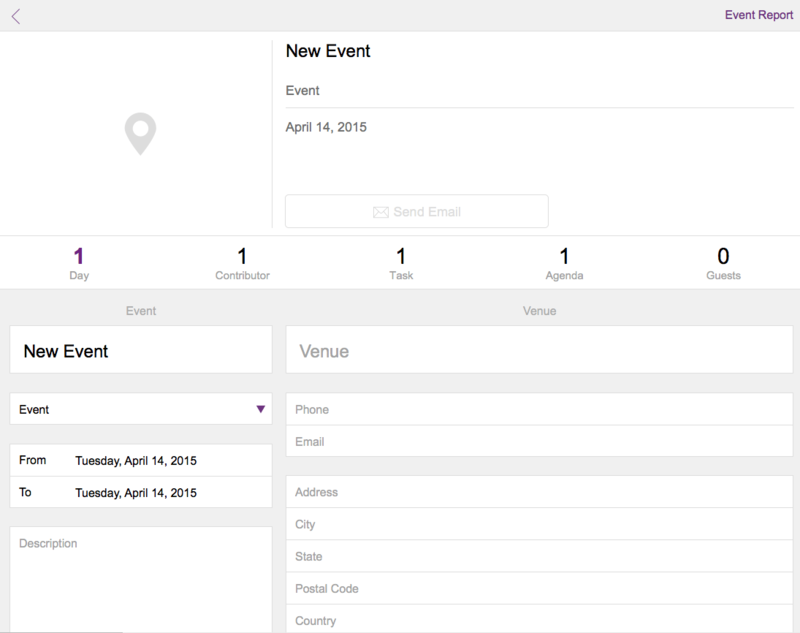 The Event Management Starter Solution made significant changes, which makes it very user friendly and easy to navigate on Desktop or iPhone/iPad. Right away you notice the three key features in FileMaker 14 with the Navigation Bar at the top, the Button Bar that uses two of the 140 Button Icons. This however doesn’t include a WebDirect layout. The Theme also changed in this Starter Solution going from Ocean to Enlightened. On the Event Detail Layout for Desktop, there are now 4 tabs that make it easy to navigate between Contributors, Tasks, Agenda, and Guests. With this change, it eliminated another box on the layout making it easier to use and not as “busy”. On the Event Detail Layout for iPad, the big change is eliminating the “Overview Layout” which makes for a more user-friendly layout that organizes information more efficiently in space. 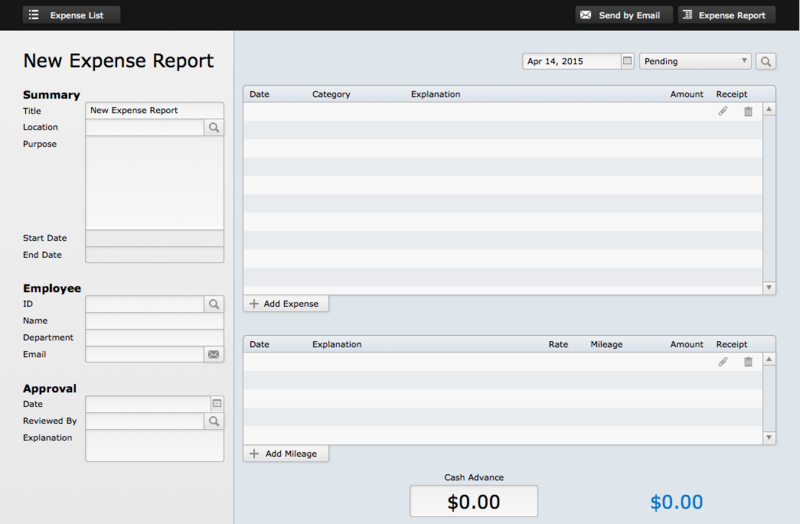 The Expense Report Starter Solution has added a WebDirect layout as well as changing Themes from River to Vibrant. This Starter Solution allows you to print or email expense reports that track expenses by line item and by mileage. The Inventory Starter Solution has changed looks going from River to Vibrant as well as adding WebDirect. This is a popular Starter Solution that organizations use to store company information as well as record transactions to calculate the Units on hand. It is also easy to make reports and import inventory. The Meetings Starter Solution has added WebDirect layout as well as changing the feel of the solution by switching Themes from River to Sophisticated. This Starter Solution is clean and crisp and allows you to save related meeting, create new meeting as well as send/print reports. This Starter Solution has changed themes from Ocean to Tranquil. It has also added WebDirect but still does not have an iPhone layout. This Starter Solution is a great way to keep track of all your staff and contractors in a single location as well as record their time off in that tab making it easy to use. The Theme has changed from Onyx to Enlightened and added a WebDirect layout as well. This Starter Solution makes it easy to save all of your products (and show a picture of it too) with the associated documents and makes it easy to send an email of the information. 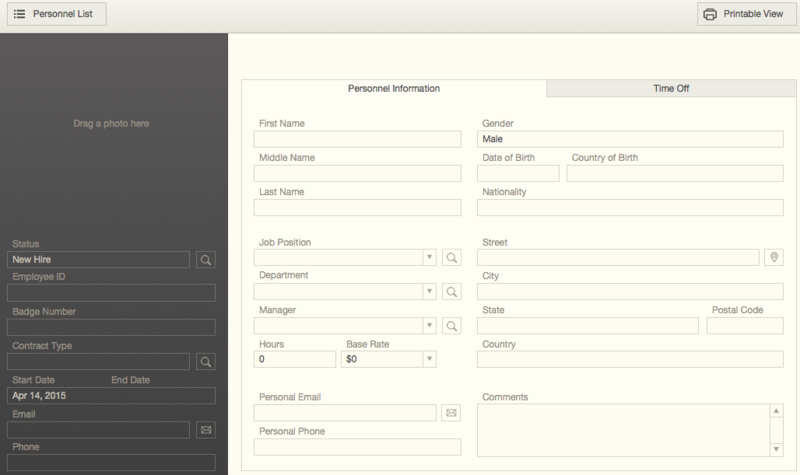 The template added a “Contacts” layout which has a pop-up window to sign in. With the added contacts, you can “Add Resources” to tasks as well as discuss with other Contacts the progress of the Project or questions concerning the task. This makes it very user friendly and easy to collaborate with others. The Research Notes Starter Solution made minimal changes. The only change is the look (from Onyx to Vibrant), there is still no WebDirect or iPhone layouts. This starter solution still makes a nice clean solution that makes it easy to find notes and store documents in one central location. 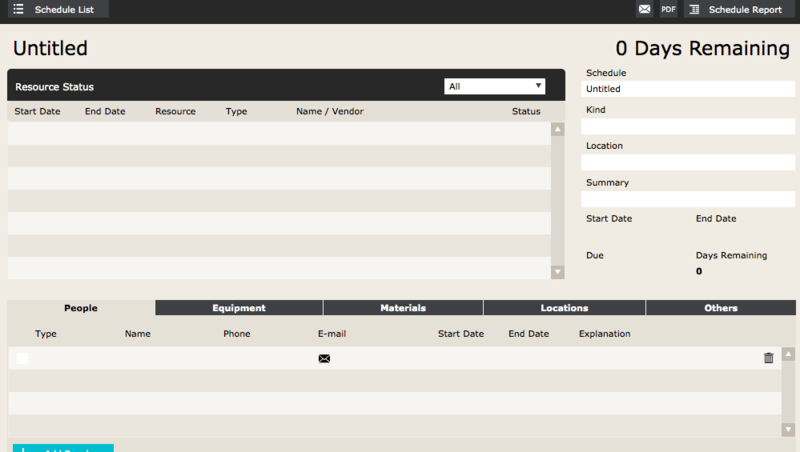 The Resource Scheduling Starter Solution made a Theme change from Ocean to Sophisticated and adding WebDirect Layouts. This solution has a lot of information in the layouts letting you create schedules for people, equipment, materials, locations and other items while utilizing the tabs to make a nice clean solution. You can also create a Schedule Report that can be printed, emailed or sent as a PDF. 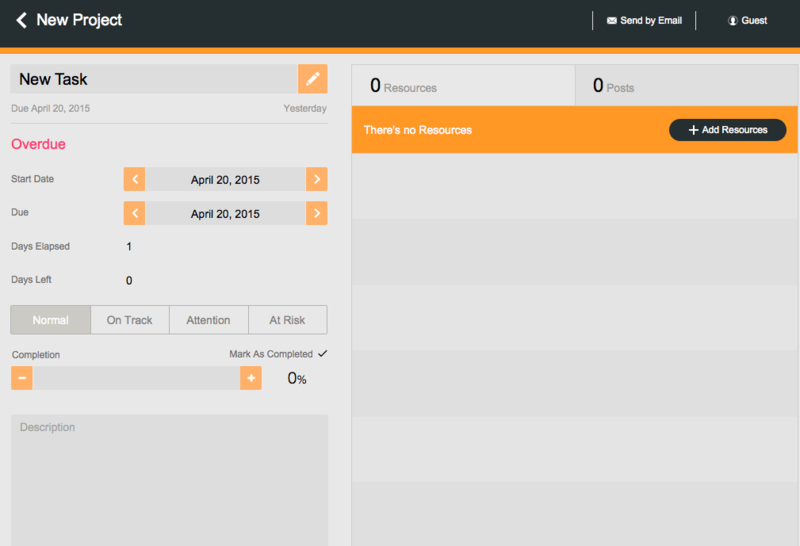 This Starter Solution added WebDirect and switched Themes to Sophisticated from ocean. The Tasks Starter Solution is similar to the Projects Starter Solution by allowing you to create a task and assign to multiple people. 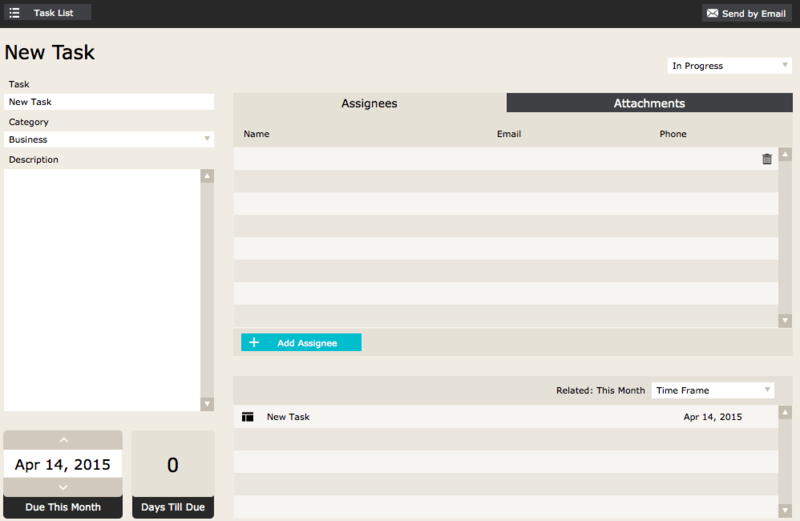 One nice aspect of this template is the unlimited number of attachments to a task to reference. 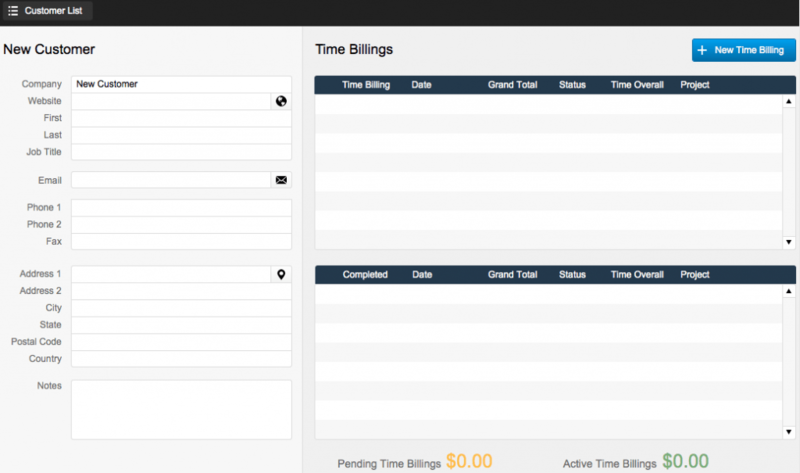 The Time Billing Template changed themes from Cool Gray to Enlightened and added WebDirect layouts, but still doesn’t have a iPhone layout which would be convenient. The template is great, however, to view all completed and pending billings for your customers in one location. 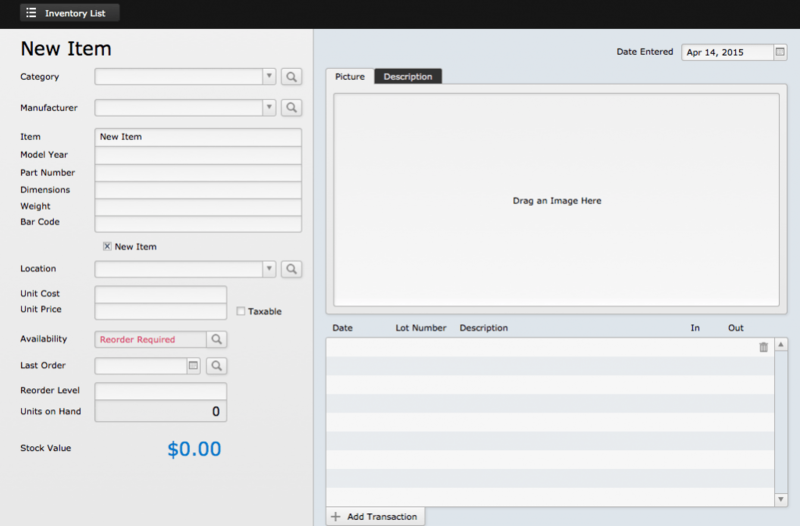 Also includes the ability to print or send an email of the Time Billing. 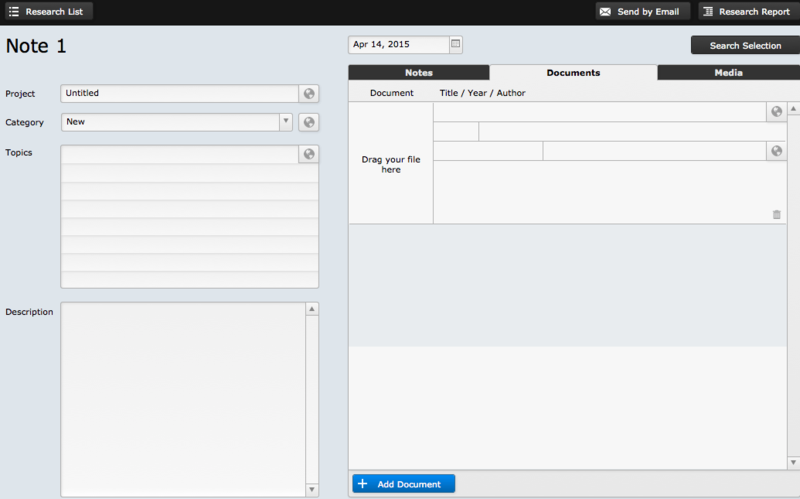 FileMaker has continued to improve the Starter Solutions by using new modern design tools to make the templates look great. FileMaker is dedicated to improving the WebDirect foundation and provide more capabilities making it one more deployment option for the FileMaker platform as all but 2 Starter Solutions now contain WebDirect layouts. These improvements further show FileMaker’s commitment to make great looking and usable applications, proving that FileMaker is at the top of the market for easiest-to-use database solution. 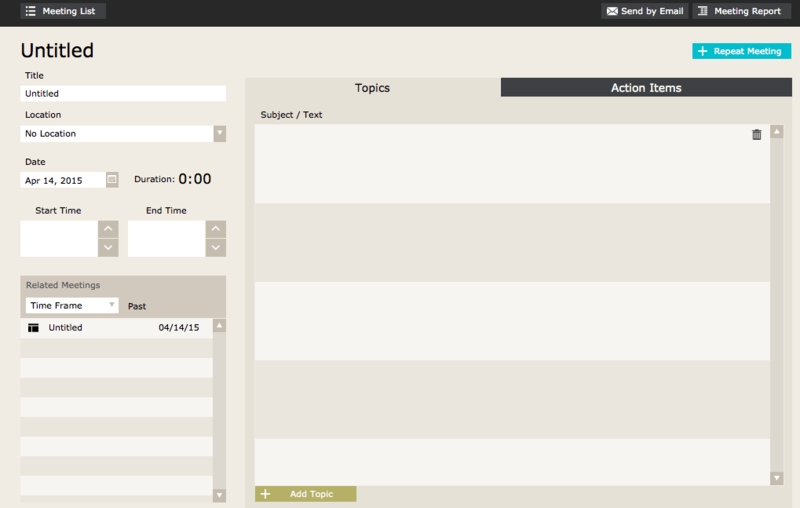 If you, however, need a more fined tuned CRM application check out our own template, FM Quickstart. It is a free download and has been optimized to run on the latest version of FileMaker. David is our FileMaker Licensing specialist who enjoys talking to customers and explaining all the options available to get you the best licensing while saving you money. He is great at assisting customers with their custom FileMaker needs, all the while with a smile and positive can-do attitude.